NEW YORK: A two-car crash reportedly involving a wedding limousine has killed several people in upstate New York. The Albany Times Union reports that the crash in Schoharie on Saturday involved a limousine carrying a wedding party. 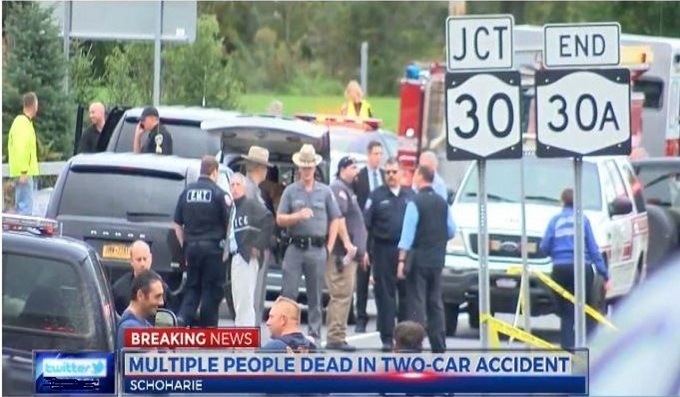 Twenty people were killed at the intersection of Routes 30 and 30-A, New York State Police say. Police have not yet released the names of those killed in the crash, pending notification of their next of kin. A press conference has been scheduled for Sunday afternoon at 3:00 p.m. The New York State Police confirmed that there are multiple fatalities after a deadly crash in Schoharie Saturday afternoon. The crash took place at the intersection of Routes 30 and 30-A in the town of Schoharie shortly before 2 p.m. Saturday afternoon. “What we can tell you at this point is that it is a 2-vehicle, multi fatalities as a result of this crash. The investigation is very preliminary it’s in its infancy stages,” said Captain Richard O’Brien of the New York State Police. The National Transportation Safety Board announced Sunday morning that it is sending a "go-team" to the site of the deadly crash. According to the NTSB"s website, a "go-team" is a team numbering anywhere from 3 to more than a dozen members sent from NTSB headquarters in Washington, D.C. to investigate major accidents. “I heard a loud bang I came out my front door to see what was going on,” said Finnagen. Bridey Finnagen lives just down the road from where the scene of the crash. “I saw a lot of people here at the Apple Barrel out in the parking lot. Then I heard screaming. Then I saw this large van, a very unusual looking vehicle out here in Scoharie in the bushes and really wrecked, hit a tree,” said Finnagen. Multiple emergency crews arrived at the scene including the American Red Cross, members of the Schoharie County Sheriff’s office and the New York State police. 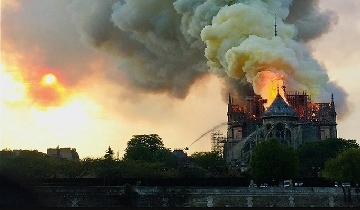 “The first responders broke some windows to try to get people out. I believe the jaws of life were here on the side of one of the fire trucks,” said Finnagen. “We have several Units here investigating the details from the New York State police including our reconstruction unit. We have used our drone this evening and our facial identification unit as well,” said Captain O’Brien. Portions of Routes 30 and 30-A were closed for hours Saturday into Sunday, but were reopened around 4:00 a.m. Sunday when the scene was cleared, according to New York State Police.